Well, it is February 29, 2016. You know what that means…an extra day! I just posted some thoughts on that and was reminded to post one last time for this year my happy thoughts for February. I decided to these posts early in the month, since it is the month commonly thought of for love, which is happy. Actually, I had been scrolling through all my old photos and they make me smile, so I have been sharing some. Today, I am a day late, but I am going to share the happy thought of my grandson turning 9…I can’t believe how time flies! And he is a charmer with a happy smile! My, how you have grown…all the really little-boy pics are stored off the computer…but we all know you are growing up! Belated Happy Birthday, Tyler…and thanks for the February Happy Thoughts! I am happy to call you grandson! Signing out on the February Happy Thoughts until maybe next year…who knows? For other uses, see Leap year (disambiguation). A leap year (also known as an intercalary year or a bissextile year) is a year containing one additional day (or, in the case of lunisolar calendars, a month) added to keep the calendar year synchronized with the astronomical or seasonal year. Because seasons and astronomical events do not repeat in a whole number of days, calendars that have the same number of days in each year drift over time with respect to the event that the year is supposed to track. By inserting (also called intercalating) an additional day or month into the year, the drift can be corrected. A year that is not a leap year is called a common year. For example, in the Gregorian calendar, each leap year has 366 days instead of the usual 365, by extending February to 29 days rather than the common 28. Similarly, in the lunisolar Hebrew calendar, Adar Aleph, a 13th lunar month, is added seven times every 19 years to the twelve lunar months in its common years to keep its calendar year from drifting through the seasons. In the Baha’i Calendar, a leap day is added when needed to ensure that the following year begins on the vernal equinox. The name “leap year” comes from the fact that while a fixed date in the Gregorian calendar normally advances one day of the week from one year to the next, the day of the week in the 12 months following the leap day (from March 1 through February 28 of the following year) will advance two days due to the extra day (thus “leaping over” one of the days in the week). For example, Christmas fell on Tuesday in 2001, Wednesday in 2002, and Thursday in 2003 but then “leapt” over Friday to fall on a Saturday in 2004. I will admit that I never have really looked at the reason why we have this extra day, so the explanation above makes some sense. Good stuff to know, right? We probably learned something about this in school, but I won’t confess how many leap years have passed since then! Some people seem to think that it would be no big deal to be born on this day…just celebrate things on the day before or after. Some might think great…I only get a birthday every four years. Well, that is great if you are getting old, but not when you are young and want a party or to get older. What do you think? Today, my day will be much like most days. At this “almost retired” stage, and since I work from my home, I have lots of flexibility. I generally do most of my work first thing…already done that…so I will play with my crafts and do some work around the house. It is granola-making day along with some laundry. Normal is good! Oh, and since it is the last day of February, I had better go post one more February Happy Thought for the month! I am fortunate and grateful to be able to visit many places. One of my favorites has been the beautiful North Shore of Kauai. 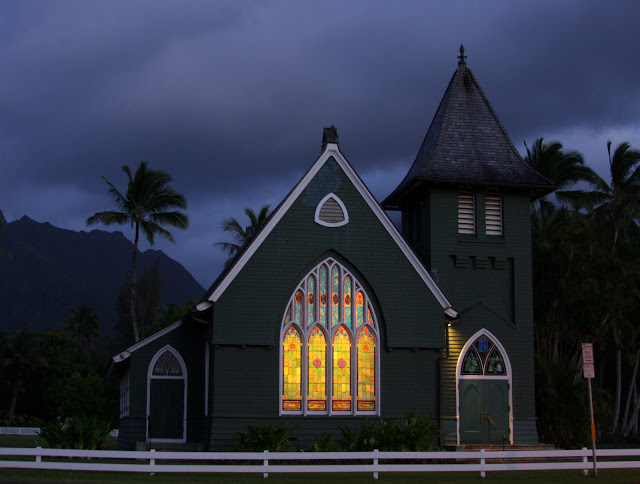 These beautiful windows were lit up in the quaint town of Hanalei. A beautiful light in the approaching darkness. Like everything, it is a process, and some days it works better than others, but let’s try to start here. Yes, another door (or should I say set of doors?) from my travels, this time Sicily. Do you think the people behind the far door feel safe enough with two sets of heavy doors one has to get through first? Would you open that first set? Do you find the studs on the first heavy doors to be daunting? I so enjoy seeing how the rest of the world lives and the history that has shaped lives. I usually find the people charming and welcoming when we travel. I think these doors depict the ancient days and they are still standing today. Do you think our doors will still be standing in hundreds of years? This is taken in the touristy town Taormina. It was interesting, but my preference is the smaller towns that are not so well traveled. I was nominated for the Sunshine Blogger Award on Valentine’s Day by Joyful2bee It seems like a nice way to spread the love on that day, doesn’t it. She posts a variety of interesting and always sunny blogs, so go check her out! It was interesting to me to get this nomination. I had just been reading some blogs where people were telling about themselves. It seems we don’t really know our blogosphere friends, but feel like we do, so this kind of thing helps. I had also thought I would make this blog a “no awards” blog. But, I had not stated that yet, so here goes. If you get nominated, don’t feel that the burden is heavy…it is really up to you. I think of these as ways to share the love and introduce bloggers! 1. What inspired you to start writing? I was never really much of a writer. It just kind of came up when, as a photographer, a local magazine asked me to do some articles along with images. That turned into a few years of writing little blurbs to 2500 word stories.I liked it. Sometimes challenging and sometimes fun, it was certainly a time/way of growth and pushing the envelope a bit. 3. If you could spend a day with a historical person, who would you chose? Wow…there have been so many interesting people and so many reasons they are famous! I often think I would like to discover more of myself by living in solitude. How much could I endure the quiet? How much could I do for myself? I mean living away from the masses. I am not sure who that person would be. There are articles about people who have done it. I read a book once about a woman who did it in her own way, Where God Begins To Be, A Woman’s Journey into Solitude by Karen Karper. So, I will look her up and see if we can meet! It really gave me the desire…and I think I may have been a pioneer, in a prior life. Of course, I would need the Internet, so I could blog about it! 4. What would you want to talk about with this person? The tests, the trials, the fears, what they learned about themselves. For me, this is not because I don’t like people…I do! It would be about those tests, etc. and for the mystical experience I hope would come from it. 5. What era would you like to live in? I am a person who loves to experience things. I like living right now, but would like to try being a pioneer, as mentioned above. 6. If you could be an animal what would it be and why? I am not really into animals much. I think a bird though. Just imagine all you could see from your perch or in flight! And it seems they don’t worry. Worry is a waste of time and energy! 7. Who has influenced your life the most? Well, I would say my father first. Next would be my husband, who has allowed me to grow and stretch and try things and always encourages and supports me. 8. What do you enjoy writing about most? It varies! I don’t know if I enjoy posting more or reading the posts of the blogs I follow. They both seem to take quite a bit of time. 9. While writing your blog posts, do you go over it repeatedly and edit or do you just write it out and post it? Most of the time, I just let it spill onto the page, as it comes out of my mind. I try to catch spelling errors, etc. We each blog for whatever reason, but they are ours to do with as we feel on any given post. Just do no harm!!!! 10. What part of nature do you identify with most? I love the wind, except when I lived in Topeka, KS and thought I might die in a tornado one day. I grew up with the threat of tornadoes and was never afraid. That day, I was so afraid I might never see my children again. I won’t forget that feeling! BTW, the building next to mine was leveled!!!!! 11. What makes you most worried about your blog? Nothing! It is a place to BE, to SHARE and it is mine. Why worry? So, there you have it for this post! I welcome your comments! My 11 nominees for the Sunshine Award are listed below. As I said, no pressure here. These are bloggers I enjoy and cover a gamut of subjects. Many of them have loads of followers, so don’t need the introduction…this is just my place to share them and compliment them. https://uptownjack.wordpress.com/ – I enjoy his photos and words that go along. Sometimes inspiring, funny, quirky…and a quick, easy read/look! https://thingsthatnevermadeitintoprint.wordpress.com/ – Speaking of quirky…this one is! I enjoy the way she thinks, even if I don’t always agree, but I often do! http://alphawhiskeyfoxtrot.com/ – Stunning thoughts and images…usually in black and white…she inspires me! https://miscellaneousmusingsofamiddleagedmind.wordpress.com/ – Norm, the grumpy old man, as he calls himself, though he doesn’t really seem so, offers up great images and a Thursday Doors challenge that I follow! http://simplelivingover50.com/ – This one is about fitness, health, minimalism, saving and more. He shares some great insights that are thought-provoking! 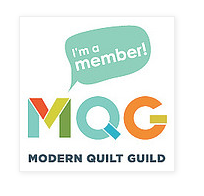 https://judemadeit.wordpress.com/ – If you craft or quilt, this one will give you some great ideas! AND she is my Sew Mate! https://nerospost.wordpress.com/ – An0ther quilter…one of my newest passions. I hope to meet her the next time I go to Greece! https://charlieandjo.wordpress.com/ – I feel like I know Jo, as she shares the triumphs and turmoils of remodeling their home. AND she is having tea soon…I am going in virtual reality! http://viewfromafrenchhillside.com/ – Beautiful photos and feeding my wanderlust. I love France and enjoy this inspiration here! http://snapshotsincursive.com/ – This blogger speaks to food, travel and other fun and inspiring things. I tell you, she should write for pay! https://scotty73.wordpress.com/ – Certainly not least, Scotty73, known to me as Brad, my son, of whom I am so proud! He blogs about life and being a stay-at-home dad…at least for now. I hope he can continue this and will continuing sharing his wit and wisdom! No, son, you do not HAVE to do this award thing!!! The questions I am going to ask? Well, I was comfortable with the ones above, so I am taking the easy way out and being a copy cat! If you decide to participate, just answer the same questions! Go ahead, you can do it! So…there you have it! My Sunshine Blogger Award post and some sharing. I started following a few new blogs this year and there are so many good ones out there. It is my decision to really FOLLOW some and those are included above, which means a lot of reading and I get to see how people evolve, in some cases, and make virtual friends. I hope I get to meet them along the way in some of my travels. Also, note that I don’t think I should renominate the giver of this award, but check her out (see above). AND FACETFULLY IS NOW AN AWARD-FREE BLOG…but thanks to those who have honored me thus far!